It looks like LG V30 is getting some Always-on display improvements in the latest update, but only if you've bought the phone from T-Mobile. The magenta carrier hasn't yet refreshed the phone's support page, but some LG V30 owners have already received the update. The folks over at TmoNews report the 715MB update adds the October security patch and some changes to the Always-on display feature. Basically, you'll be able to see more stuff on the display after the update, but you'll also be able to change the colors of the clock. You can find new options in the Always-on display settings menu, so make sure to experiment with them after applying the update. 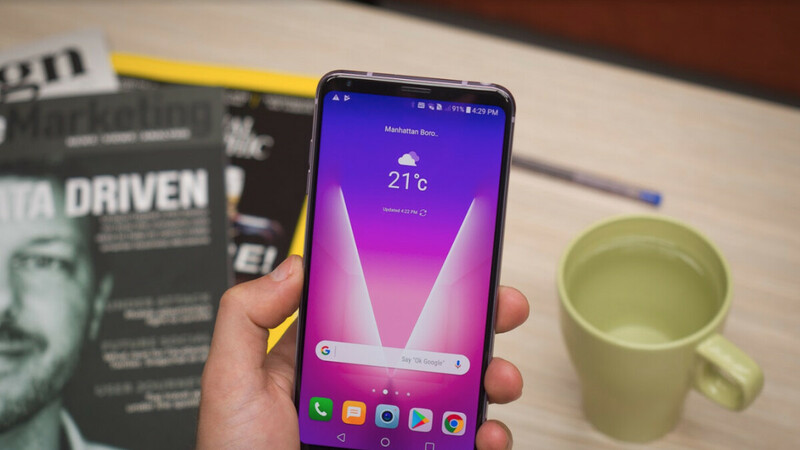 The update is rolled out in waves, but you can go ahead and try to manually pull it on your LG V30 from the Settings / General tab / About phone / Update Center / System updates. Very nice. I'm loving this phone a lot too.